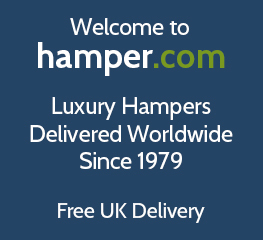 Welcome to hamper.com, luxury Australian food hampers since 1979. Find the perfect Australian themed hamper here with our delicious Aussie hampers gift range, featuring classic foods from Australia. Perfect for sending to friends and loved ones in the UK to remind/bringing them the unique taste of Australia. Our exclusive ’down under’ selection of food & drink hampers are packed full of famous Australian products including brands such as Vegemite, Tim Tams, Violet Crumble, Bundaberg and some of the country’s finest red & white wines with free delivery to UK based family & friends. Treat a loved one to an Australian themed hamper gift and they’ll almost feel transported to the other side of the world! Order online and trust in Hamper.com to deliver the down under experience to your recipient’s door with Free UK delivery. For hampers to other international locations, see our International Range. Can't find a Australian food hamper to suit? Create your own Australian themed hamper packed with goodies chosen by you! Include Tim Tams, Australian beer and more for an authentic taste of Australia! Choose from our range of Australian themed hampers & gifts perfect for friends and loved ones in the UK. Send them a taste of Australia online today with our great range of Australian goodies and treats and bring the taste of OZ to the UK. Our Australian food gifts are ideal to send as presents for many occasion, especially when sending Christmas Gifts, Fathers Day Hampers & Mother's Day Gift Hampers.